What does Stroke Solutions do? 1. Stroke Solutions introduces some helpful, low-cost products to significantly aid with stroke recovery. The latest neurorehabilitation evidence-base emphasises the importance of practice (to stimulate neuroplasticity). All products you see here emphasise that only your involvement in the movement will lead to improvement. The ARNI Approach was initiated by a stroke survivor (Dr Tom Balchin) in 2001 to support the importance of stroke survivors performing task-training, strength training and developing physical coping strategies. This user-driven combination of interventions continues to be extremely successful worldwide, and is detailed comprehensively for you here. 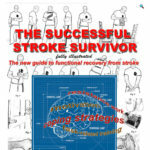 It is detailed for you in the Successful Stroke Survivor DVDs / online streaming videos (save a full £40 on the full set) and the best-selling Successful Stroke Survivor comprehensive strategies manual. A few very useful accompanying low-cost products for stroke rehab which link with the practice/retraining shown in the DVDs and manual. We hope you find that combinations of these elements extremely useful for self-rehabilitation. Many thousands have, unsurprisingly, and have been able to rebuild their lives again, however old they are or however significant a neurological injury they have suffered. 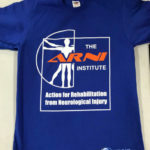 The ARNI Action for Rehabilitation from Neurological Injury Charity has been dedicated to this since inception. 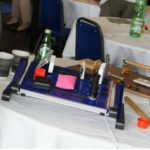 Please phone in to Stroke Solutions if you would like any rehabilitation aid/product but cannot use the website to pay. 2. Stroke Solutions is also the UK’s Accredited referral and monitoring agency for stroke survivors and families wanting to engage a professional ARNI qualified physiotherapist or specialist neuro-exercise trainer. These professionals can very significantly help people with stroke around the UK in their homes for between £40 and £55 an hour including petrol. Many hundreds of professional instructors and therapists have qualified through the ARNI (Action for Rehabilitation from Neurological Injury) Institute UK since 2007 but ONLY those who are invited to join as specialist Associate Instructors may then be available to you via Stroke Solutions. ARNI Associate Instructors have to sign up to a legal contract between themselves and Stroke Solutions which is designed to regulate practice. For example, Associates must fully qualify through the ARNI FRETS qualification taught by Dr Balchin, be fully insured, DBS checked and ready to maintain their annual CPD points by attending stroke rehabilitation professional development symposia at ARNI Institute, Institute of Neurology, University College London and the Royal Society of Medicine. You can easily check the veracity of an Instructor by phoning us and quoting the unique number shown on his/her Associate card. More about this element of Stroke Solutions below. Safely and securely collects, processes all applicable fees and pays your Instructor for you: a big advantage for families and patients. Gives you the reassurance that you can expect a quality controlled, fully monitored service from your professional – about which you can ask questions at any time. You will be given a secure login area on our website where you can read the details of the instructor with whom you’ve been matched with in your area. You have access to an area of the Shop which gives you discounts from products (books, videos, apparel etc) to consider which are not available to general public. If you are unable to use the computer yourself, this process will all be taken care of by the UK Referrals Manager – just call Stroke Solutions.